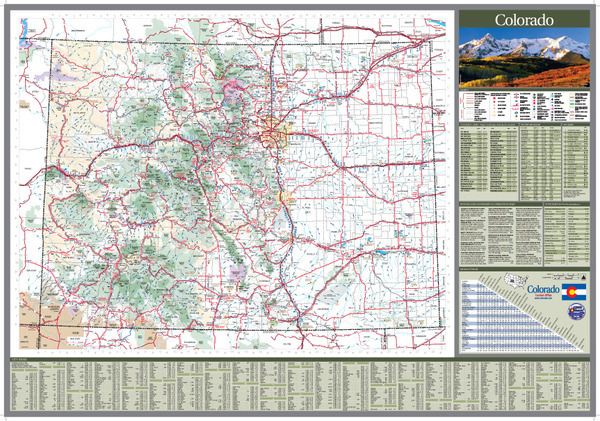 Large city, county and highway wall map of Colorado State available paper, laminated or framed in multiple sizes from 2×3 to 4×6 feet. Starting at $24.95. 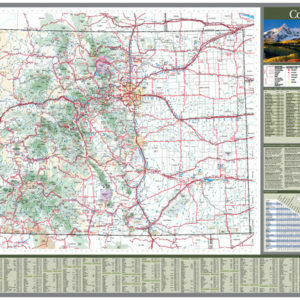 The Colorado State Wall Map is laminated (optional) and multiple size are available for all your planning and mapping needs. Details all state/federal highways, cities, towns, major waterways, airports, hospitals, wildlife areas, state universities, state and national parks, military reservations, a mileage chart between major cities, county names/boundaries, and points of interest. © 2019 Copyright Swiftmaps and Graphics. All Rights Reserved.